Last year Donald Trump became president of the United States of America. That meant a lot of power and responsibility, but it also meant moving into the White House with a new plane, helicopter, and car. Of course, it wasn’t a “brand new car,” the presidential limousine is actually a little older and has undoubtedly one on in mileage. Several of these limousines are due for a repair and replacement, sadly none of them qualify for vehicle service protection. 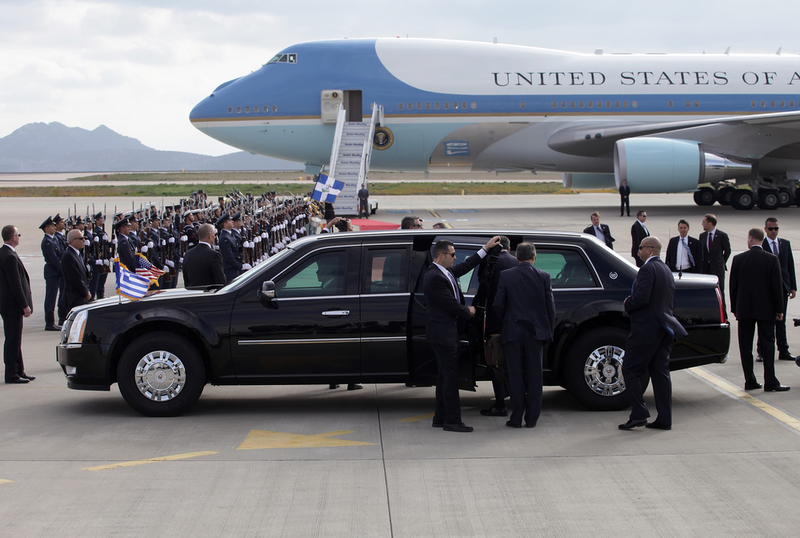 The car that the president is riding in actually made its debut about nine years ago. That was when Barack Obama was president in his first term. 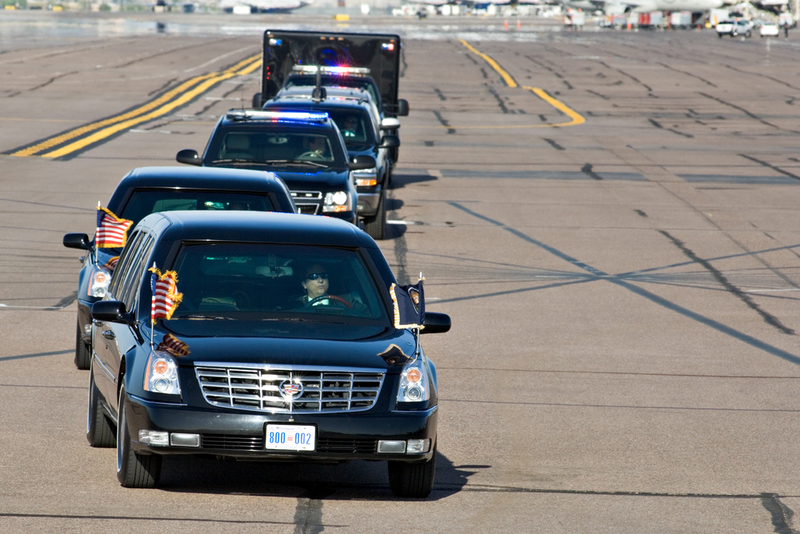 The vehicle first became known to the press because it came on Obama’s inauguration day. That set a precedent for the president. The expectation now it seems is that every new president was going to get a brand new car too. The “beast” as it is affectionately referred to, is essentially a small “tank with a Cadillac limo stretched over it. 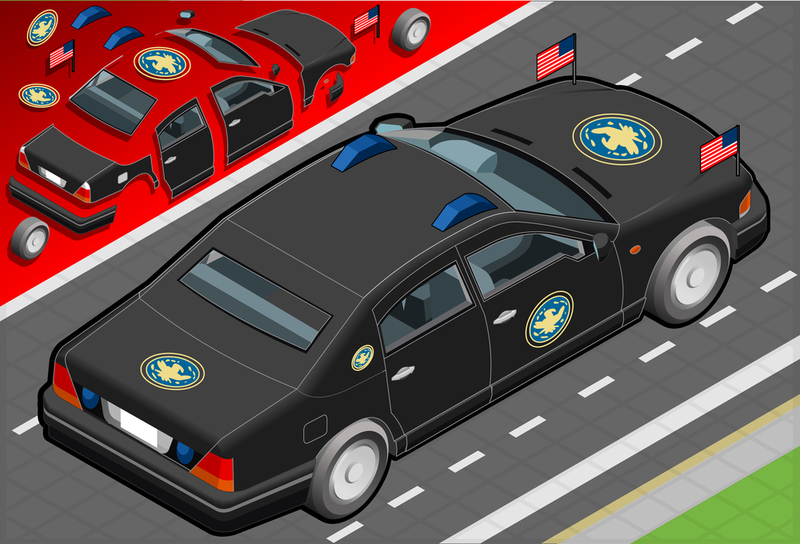 Read more about the president’s car here (link to my article). Thanks to the reporting from Fox News, it became public knowledge that Trump was going to have a new presidential vehicle very soon. It just wasn’t ready for the public yet. However, we were positively assured it was coming. In fact, the prototype limo was spotted on public roads! Like any new car or prototype we see that black & white scrambled color scheme as it gets tested on public roads. Perhaps one day we’ll tell you as to why that’s a thing but for now, let us leave it at the fact that this throws off reporters and paparazzi. Regardless, that doesn’t stop the media from doing a little digging and figuring out exactly what car(s) they are looking at. In this case, they discovered that the presidential limo itself was the one being tested right by GM (who owns Cadillac) owned proving grounds. And again according to Fox News, this is just one of the dozen or so vehicles that General Motors is set to build under their exclusive $15.8 million contract with the U.S. Secret Service. According to now-former Cadillac President Johann de Nysschen, Cadillac has accomplished the enviable task of making the president’s car and has indeed handed it off to the customer in chief. Meanwhile, a spokeswoman for the U.S. Secret Service added told the press that the program to build and deploy the next generation of Presidential limousines is both going smoothly and is staying on schedule. They hope that the new cars will be in regular use just in time for late summer of this year. As usual with every presidential vehicle, the exact details of what is in the car and what it can do are both closely-kept national security secrets. What has been confirmed so far, is that this version is the most like a stretched-out armored truck than anything. It is more protected than ever against ballistic, explosive and even chemical weapons attacks (a Bush & Obama-era addition). Even with the camouflage, it seems neither the Secret Service nor the president wants to move away from the styling elements which recall the Cadillac flagship CT6 sedan. How long as Cadillac been building the presidents’ cars? For about 25 years in fact. Cadillac has built every president’s fleet of vehicles since 1993. In fact, the main reason why that car company did it is that their competition wasn’t interested. No one took the contract except for Cadillac. For this latest model, representatives from Lincoln and Chrysler, each told Fox News that they did decline to submit bids this time around. So again the responsibility falls on Cadillac to chauffer America’s Head of State. A tradition that Cadillac representatives have told the press that they hope to continue.